Apply a thin layer of Matte Rescue to the skin after cleansing. It can be worn alone or under makeup. If you're a regular reader of the blog, I'm sure that you will be aware that I have pretty oily skin, the right skin type to give this product a thorough test! Upon application, the pores begin to look minimised and the skin looks more balanced. Hurrah! I had to use a little bit more to get the required effect though. I'm not sure if it is because of my skin type, so if you also have oily skin you may also find this necessary. I tried this balm alone without makeup and with, and both times I'm glad to say that it worked long-term. However, when I matched it up with other items from the POREfessional range, I did notice some improvements. 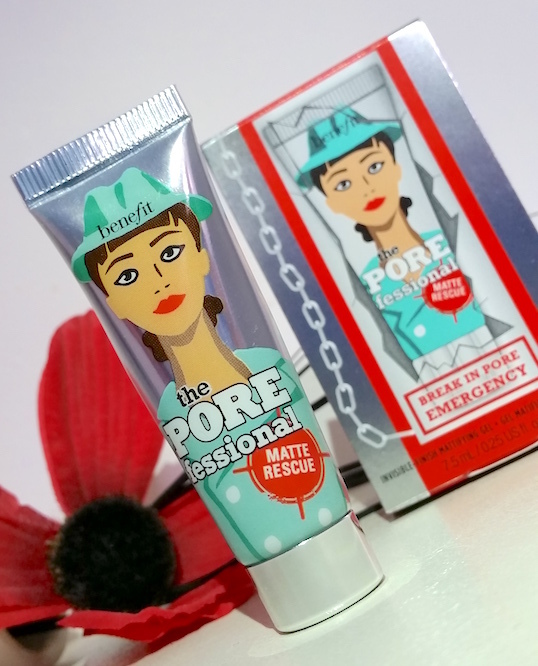 If you are a fan of the POREfessional Primer, Matte Rescue is the perfect complimentary product. Just like Benefit's They're Real! 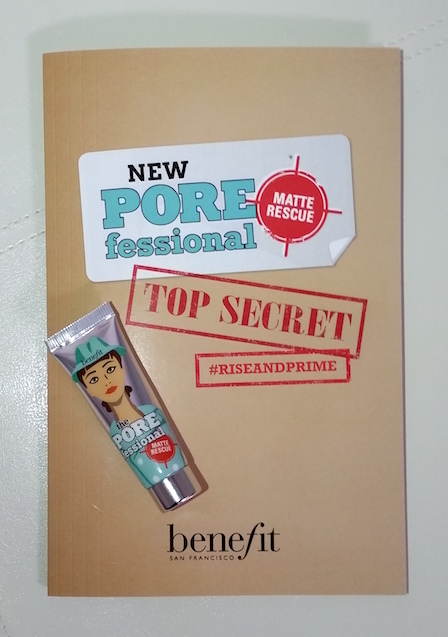 Tinted Primer bringing out the power of Roller Lash, Matte Rescue really maximises the quality of the POREfessional Primer. Pores look almost non-existant and the longevity of both products are extended, like they're both working together in harmony to bring the best out of each other. I also tried adding License to Blot into the mix, a product that I only had semi-success with on its own. Thanks to the synergy between the products, I can now go a full day with no top-ups to get rid of shine. Yep. You heard me right! Of course, this does come up with one obvious downside. To create the full poreless, matte effect, you are going to be needing multiple products working together rather than one standalone item. Whether or not this is a problem is down to the individual person. Each item does work fantastically well on its own, but combining the different products gives a noticeable improvement. Overall though, I am really impressed by the POREfessional Matte Rescue. On its own it is great, and with the primer it is even better. If you have oily skin, I highly recommend giving this balm a go! 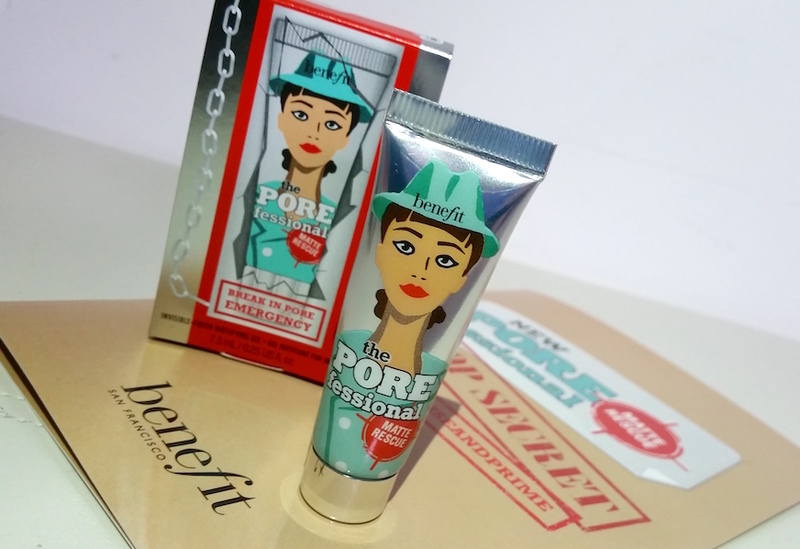 You can purchase Benefit's The POREfessional Matte Rescue balm for £21.50 from Benefit Cosmetics. 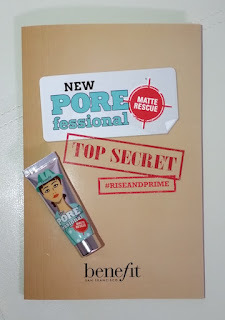 What are your thoughts on Benefit's The POREfessional Matte Rescue? What is your favourite POREfessional product? The product does work really well but I think the price is too much. Every time I apply, there is so much of the product that is required and it just finishes up so soon!